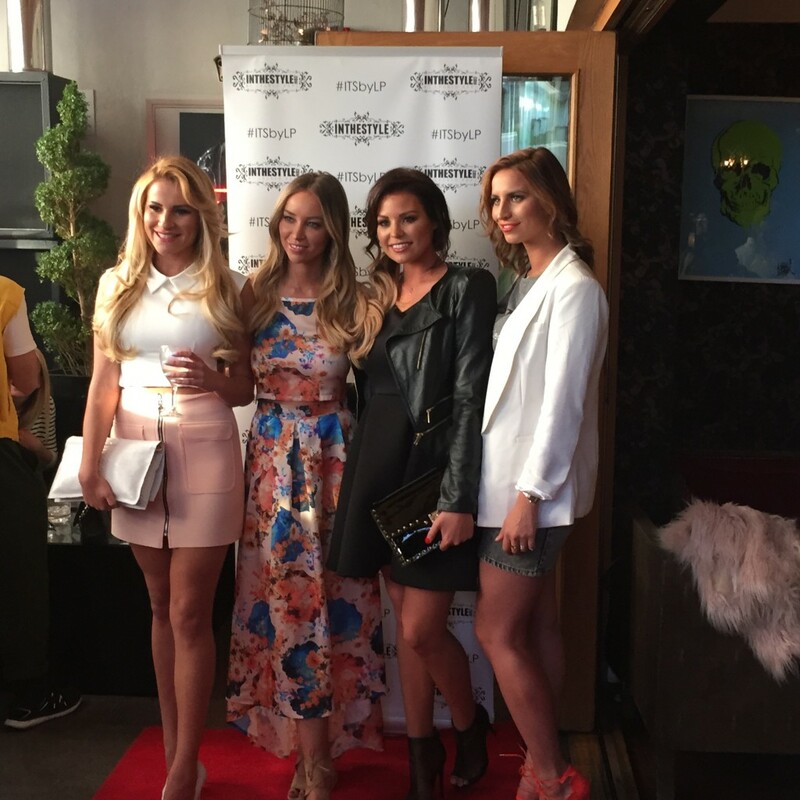 Last week the Avant PR and In The Style teams headed down to London for the ITSbyLP SS15 collection launch party, attended by press, bloggers and a host of TOWIE stars. Taking place on the rooftop of the Sanctum Soho hotel, we were pleased to be greeted by glorious sunshine and temperatures that reached the mid-twenties, ensuring for a great day. As press and bloggers started to arrive, Lauren mingled with the crowds, taking time out for press interviews, conducted next to the elevated hot tub. Speaking to titles including the Mail Online, Star, new!, OK! and Reveal, Lauren discussed her new range for In The Style, which features gorgeous dresses and separates in Spring tones – and gave a insight in to what they could expect for the High Summer collection, too. Then, after the arrival of TOWIE’s Ferne McCann, Jess Wright and Georgia Kousoulou, the fashion show began, with High Summer pieces being worn alongside the SS15 collection. Partway through, Lydia Bright arrived – and made her own catwalk appearance – before the show wrapped up to rapturous applause from the guests crammed in to the roof space. As the drinks flowed, guests got their nails tended to and laughter reverberated around the hotel’s roof garden, the sun went in and the night wrapped up to great feedback from all involved. All in all, a great success. We’d like to say a huge thank you to Katy Rubens and Red Carpet Manicure for offering our guests manicures and to the team at Danilo Hair Boutique for doing the hair for our beautiful models for the fashion show. Next up, the launch of Charlotte Crosby’s high Summer collection – keep an eye out for all of the behind the scenes action over on our Twitter and Instagram pages.